Is it safe to fly while I’m pregnant? 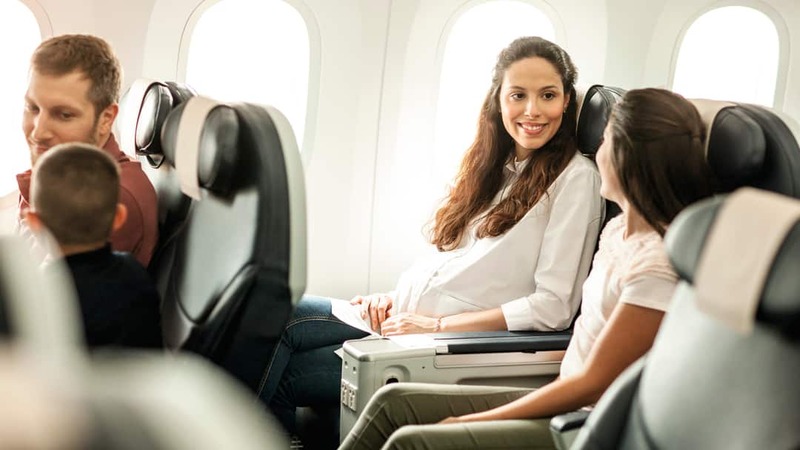 Whether you booked a holiday before you realised you were expecting, or have a baby on the way and want to squeeze a babymoon in before your due date, we’ve got the answers to all the most common questions when it comes to flying during pregnancy, as well as NHS advice. Lots of expectant mums avoid flying in the first 12 weeks for two main reasons. It’s when nausea and tiredness are most common, and the risk of miscarriage is also highest in the first 12 weeks of pregnancy. That said, NHS guidelines state there’s no reason not to fly if you’re feeling well and have discussed it with your midwife or GP beforehand, so it’s more a case of whether you feel up to the trip. In most cases, you can fly up to the 36th week, providing your pregnancy is progressing as normal and there have been no complications along the way. That means you’ll need to have flown home before the start of your 37th week. Bear in mind, though, that if you’re flying after 28 weeks – including your return flight – you’ll need to let customer services know and you’ll also need a note from your doctor or midwife that states you’re fit to fly. Should I go on long-haul holidays when pregnant? 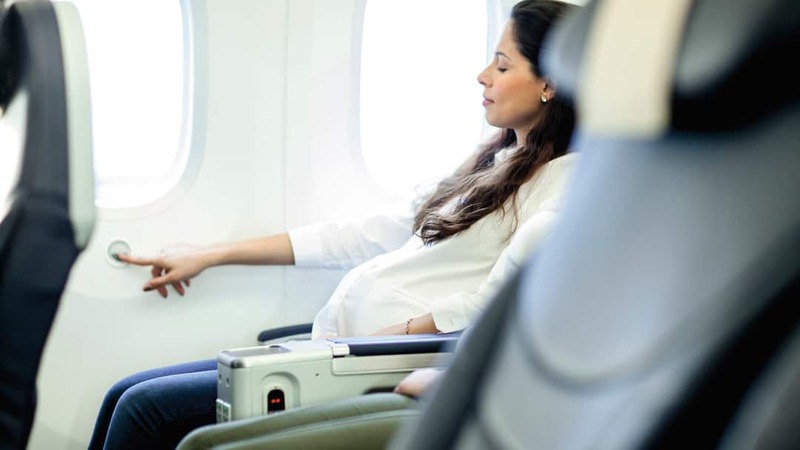 Airlines don’t tend to differentiate between short and long-haul flights anymore, although some pregnant women prefer to avoid long-distance travel in the first and third trimesters, purely for their own comfort and peace of mind. Long-distance travel – flights of more than five hours – carries an increased risk of deep vein thrombosis, or blood clots. According to the NHS website it’s not clear if that risk is higher if you’re pregnant, but compression stockings can help to reduce it. Is there anything I should do on the plane? • Wearing your seatbelt below your bump, rather than above it. • Drinking plenty of water to stay hydrated, and snacking regularly to keep your energy levels up. • Getting up as often as you can and doing calf exercises and stretches in your seat. • Think about reserving your seat in advance so you can make sure you get an aisle seat or one with extra legroom. I’m carrying twins – does that make a difference? Yes. 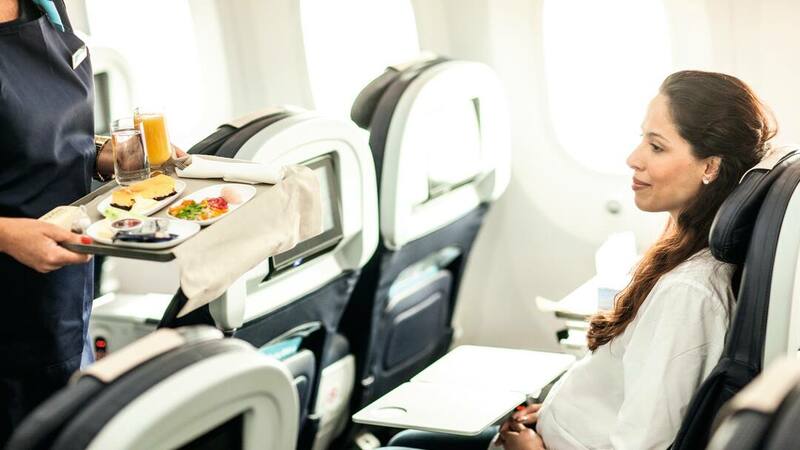 For multiple pregnancies, most airlines – TUI included – will carry expectant mothers up to 32 weeks, so you’ll need to have completed the return leg of your journey by the end of that week. As with any holiday, your insurance must cover you for the whole trip. Most standard travel insurance policies only cover up to the 28th week of pregnancy, so make sure you check with your provider. What about airport scanners – could they be harmful to my baby? Airport scanners use a low-frequency electromagnetic field and are considered safe for everybody, including pregnant women. It’s worth bearing in mind that pregnant women who work airside pass through these scanners every day. What do I need to know about the Zika virus? The best place to find out about Zika virus disease and how it affects pregnant women is the Foreign & Commonwealth Office’s official website which explains the precautions you need to take before considering travel. If you’re planning to travel to an area with active Zika virus transmission, you’ll need to talk to your doctor or midwife or obstetrician and may need to postpone your trip. Can I have vaccinations if I’m pregnant? If it’s essential that you travel to a destination that requires vaccinations, you’ll need to book an appointment with your midwife or GP to discuss your options. The NHS website has some useful info on the latest recommendations. Is there anything else I can do to prepare? Before you go, make sure you know how to get access to help while you’re on holiday. Find out the details of the closest doctor or hospital, confirm your due date and take a copy of your maternity notes or a general medical history with you. This should include your blood type, any medications you’re taking or are allergic to, and your doctor’s details back home. If nothing else, it’ll give you a bit of peace of mind while you’re away. Looking for some travel inspiration? If you’re looking for some travel inspiration, or planning a babymoon before your baby arrives, take a look at our latest holiday deals. And don’t forget to check out our tips on how to fly with a baby and the best toddler-friendly holidays for when your little ones get bigger. Pssst. Head to the Discover homepage for our latest articles. Please note: if you have any queries about flying when you’re pregnant, always seek medical advice from your doctor or midwife. In a prime spot on the Riviera Maya, the beachfront TUI SENSATORI Resort Riviera Cancun offers up a taste of the finer things in life. The adults-only TUI SENSIMAR Atlantic Palace offers up sea views towards Mount Vesuvius. The waterpark’s the headliner at the TUI FAMILY LIFE Atlantica Aegean Blue Resort in Rhodes, and there’s a massive activity list, too.